There are many ways to enjoy a holiday. One of them is to visit a park. In Banten Province, there is a famous city park called BSD 2. To be exact, it is located in Letnan Sutopo Street and it belongs to Tangerang Regency. It consists of numerous plants and a comfortable atmosphere. Not to mention you can find unique benches there. Most of the visitors come to the park either for a recreation or sightseeing. It is a popular vacation destination, especially on the weekends. Visitors want to eradicate their stresses in this location. The park features many types of trees and plants. There is a well-built pavement, as well. 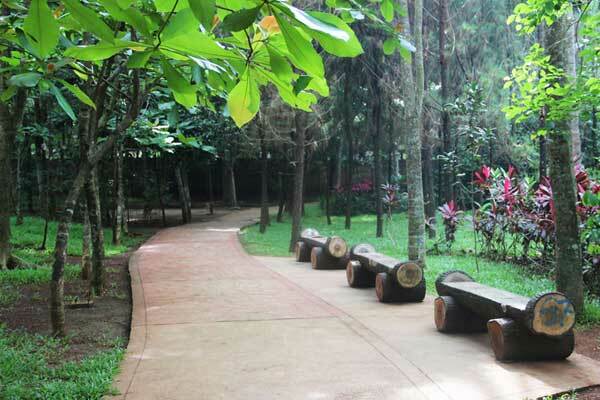 When it comes to the benches, the shape is similar to a log. On top of that, the atmosphere is serene and comfortable. Not to mention the environment is quite clean. It makes you won’t leave the park, for sure. As a tourist, there is one simple rule when spending times in the park. You need to keep your environment clean. There are several trash bins in 2 BSD City Park, after all. Don’t ever litter! The size of the park is about 7.5 hectares. Today, the local government has chosen it as a public tourist spot. People keep coming to this location over time. They want to do numerous activities such as sports, recreation, jogging, and much more. The entry fee is cheap and the environment is flawless. What about the name? Why is there 2? Does it mean you can find the 1? Yes, it does. There is BSD 1 City Park and the location is near to a famous school called Al-Azhar. Most of the time, visitors don’t need to spend money to enter the park. It is because the management has decided to take any money from the visitors these days. In terms of facilities, you can find many amenities. Once you enter the park, you can see plants and a soccer field. There is also a vast parking area. Food stands are also available in the park. The locals have been ready from the morning, after all. That means it is going to be easy to look for either foods or drinks. BSD 2 City Park opens in the morning. You can even enter it at 6 am. It closes at 6 pm. For further information, there is already a steel plank showing information regarding the park. Before reaching the park, you may encounter a bridge. It helps you cross Cisadane River before entering the park, actually. In some occasions, visitors use the park for a pre-wedding photo session. It is possible as long as you have obtained permission from the management. Your main destination is definitely Serpong District, Banten. For those who come from Jakarta, the fastest route will be Jakarta-Serpong Freeway. The trip usually takes about an hour. When it comes to the distance, it is 38 km.